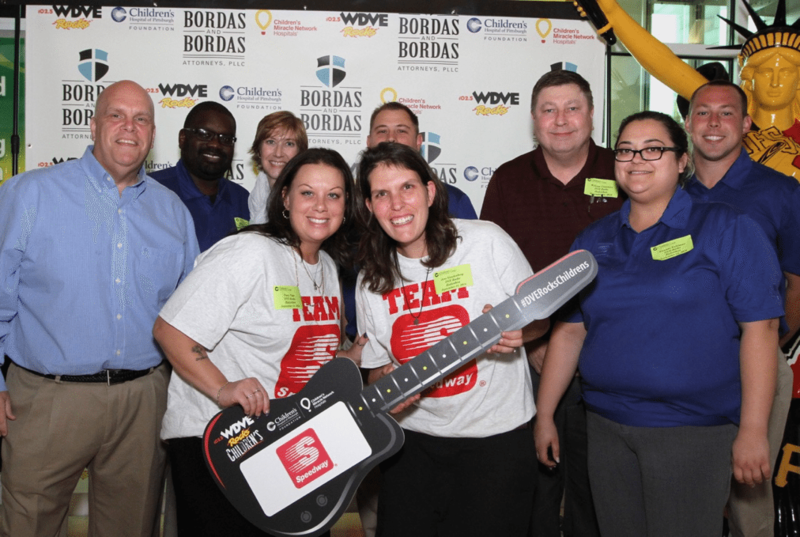 Children’s Hospital of Pittsburgh Foundation hosted its ninth annual DVE Rocks for Children’s Radiothon September 15-17. Thanks to the DVE listeners, Children’s Hospital of Pittsburgh of UPMC supporters, and a little bit of extra help from Speedway, the event raised over $605,000! Speedway proudly supported the event by sponsoring a Power Hour, staffing the phone bank with employee volunteers and providing fresh goodies for hospital volunteers. Because of Speedway’s sponsorship, Children’s Hospital signed up 28 NEW “Rock Stars” who committed to monthly donations of $10 or more. Speedway’s support of DVE Radiothon, is a great example of their organizational commitment to helping kids, both at their stores and beyond.